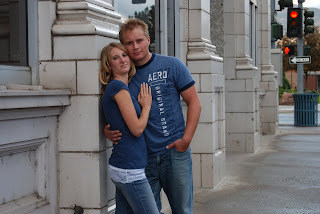 These are of few of my favorites from the engagements of Becky and Richard. You can certainly tell they LOVE eachother!!! Great angles, Whit! The two against the walls are very nice, especially the first. I think they should use that for something great! You're really doing a fabulous job- keep it up!